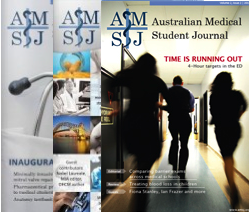 It is a delight to welcome you to the inaugural issue of Australia’s new national medical student journal. As you will no doubt discover, this first issue of the AMSJ really is a showcase of the talent, passion and achievement of medical students from across the country. In recent times, medical education in Australia has seen a paradigm shift to self-directed learning and evidence-based medicine, and medical students themselves have become an increasingly diverse cohort with a wide range of backgrounds and interests. The AMSJ is in many ways a response to the corresponding need for avenues of expression. In less than a year, the AMSJ has developed from an idea to a reality of previously unimaginable quality and scale. Every stage in the journal’s development has been somewhat of a leap into the unknown. One of the critical hurdles for the concept was always going to be the response in terms of submissions. 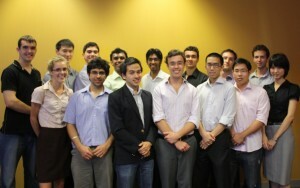 We were overwhelmed with both the quality and quantity of what was received, with the vast majority of Australia’s twenty medical schools being represented among the submissions. The only regret is that only a small proportion were able to be published in the inaugural issue. Ultimately, it is the authors who have made the AMSJ a success, and will continue to do so. The AMSJ has been a challenging balancing act in many respects. While we wanted to steer well away from being another student magazine, we did not want to be constrained by all of the typical expectations of a biomedical journal. We are not the first such journal in the world, however we found that the whole concept of a ‘student medical journal’ still needed to be defined; such a journal needs to be student-friendly for both authors at one end, and readers at the other. From the perspective of student authors, we aimed to provide an unintimidating forum that could be a stepping-stone into the world of academia. While all academic articles underwent rigorous internal and external review processes, being anonymously peer-reviewed by at least two experts in their particular field, a central concern was to be as constructive as possible with any author feedback. A student journal needs to avoid the type of harsh uninformative rejections that are sometimes met with in existing journals. The AMSJ offers opportunities for a wide variety of styles, and for more general-interest articles that may not find a place elsewhere. As such, in this issue, you will find what you are familiar with in existing journals, such as review articles, original research, and case reports. However, you will also find many pieces that traverse the traditional boundaries, such as reviews of student resources, career pieces, and a host of feature articles. From the perspective of you, our readership, the central concern was to be relevant and interesting. There is little use in publishing articles, regardless of the excellence of the research behind them, if they are of an extremely specialised nature and of no appeal to the vast majority of medical students. By the same token, we needed to publish articles that could extend students beyond the limits of standard medical curricula. None of this would have been possible without our extremely dedicated volunteer staff of twenty-two students, to whom I offer heartfelt thanks and congratulations. As we all quickly learned, being involved in a totally new professional organisation is no easy task – every single process has to be designed from the ground up, without the luxury of a predecessor to lean on for advice. But at the same time, this has imparted an amazing degree of creative freedom that everyone found most rewarding. There are a host of other people who have made this venture possible, including the generous and dedicated academics and clinicians who became peer-reviewers, our sponsors, medical societies from around the country, and the UNSW Faculty of Medicine, particularly Dr. John Hunt. If what follows in the next seventy or so pages represent what is possible for an inaugural issue, then the future for the AMSJ certainly seems bright. I would encourage any student who reads this issue to take inspiration from their colleagues’ work published in these pages and think of how they could contribute to future issues, and indeed to the field of medicine in general.